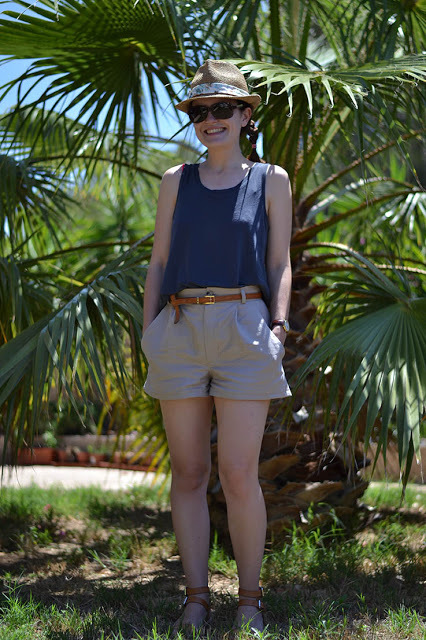 When designing the Sorell trousers, I thought they would make a great pair of shorts as well. This is such an easy variation to make: just cut the legs above the knee ast desired length. I like my shorts short so I cut mine about 8 cm below the crotch seam, including the 4 cm hem. I also added about 2 cm to the side seam at the hem to get them a little bit wider around the thighs. I used linen for this version, it wrinkles a lot but is very comfortable to wear when it’s so hot like now. I really like the safari feel they have. 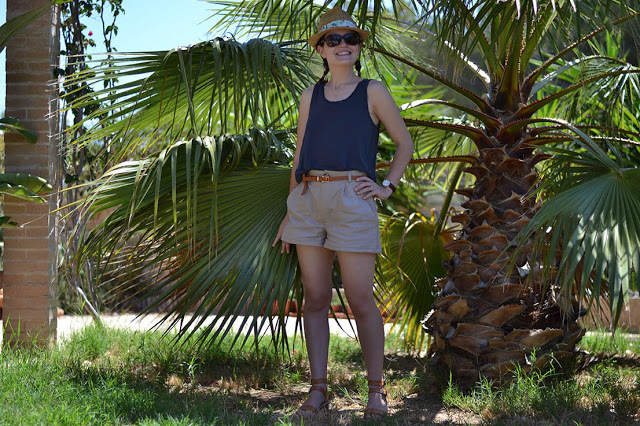 Combi-short Dominique: ready for summer! You look so sweet Pauline! Really pretty! Tengo que hacerme unos si o si!!. Me encantan!!!. Ufffffffffffffff, me temo que no me van a dar las vacaciones para tanto como quiero hacer. Eso sí, me temo que cuando una que yo me sé vea esa modificación va a pedir que pasen al primer puesto. De momento voy a ir preparando el pedido ;). ohhh! que buena idea, yo creo que probaré la versión corta ! !